Obstacles cannot stop you. Problems cannot stop you. 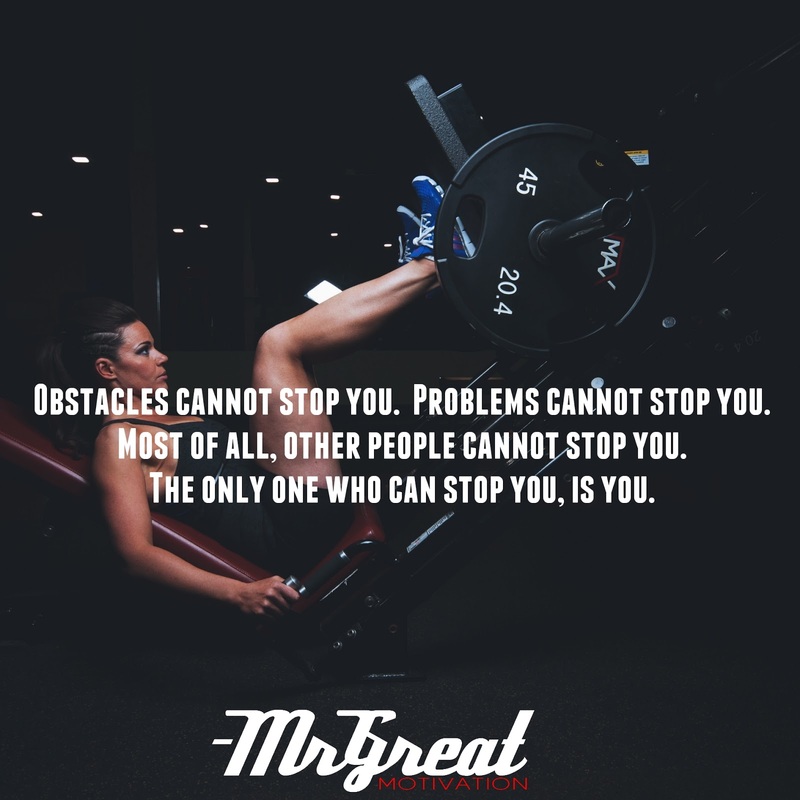 Most of all, other people cannot stop you. 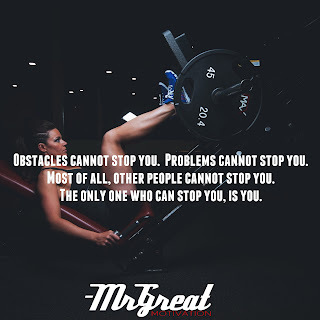 The only one who can stop you, is you. Obstacles can’t stop you. Problems can’t stop you. No one really has the power to stop you. Truth be told, only you can stop yourself. You can conquer almost any fear or obstacle if you will make up your mind to do so. With enhanced cognizance, time will slow down for you. You’ll see things in several more blocks than others. While they’re trying to react to the situation, you’ll be able to manipulate and tweak the situation to your liking. Become a master of your craft. While everyone else is relaxing, you’ve to do practicing and perfecting yourself. Hard situations may cause you some pauses and delays, but never lose sight of your goal or your identity as a person with great abilities. Prepare yourself in every way. Increase your knowledge, add to your experience daily, and keep expanding your network to include people who are moving forward at a pace that forces you to up a level. You’ll find that you become more equipped to make the most of opportunity when it occurs. Never limit yourself. Never settle for ordinary. There are truly no limits! A lot of people are good at what they do. Some are even elite. Those who are unstoppable they don’t compete with anyone but themselves. Be the unstoppable fighters for your dream. Be the motivation.